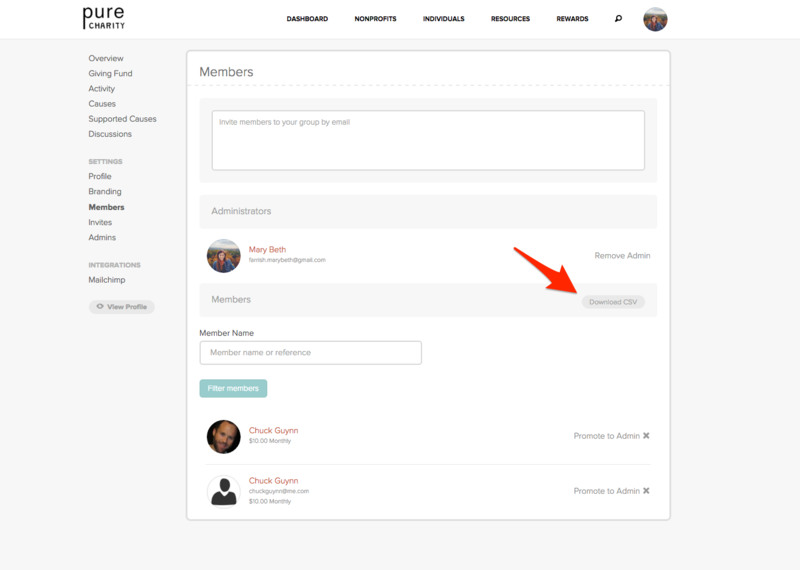 You can access email addresses for all your Giving Circle Participants! Follow the steps below in order to find them. 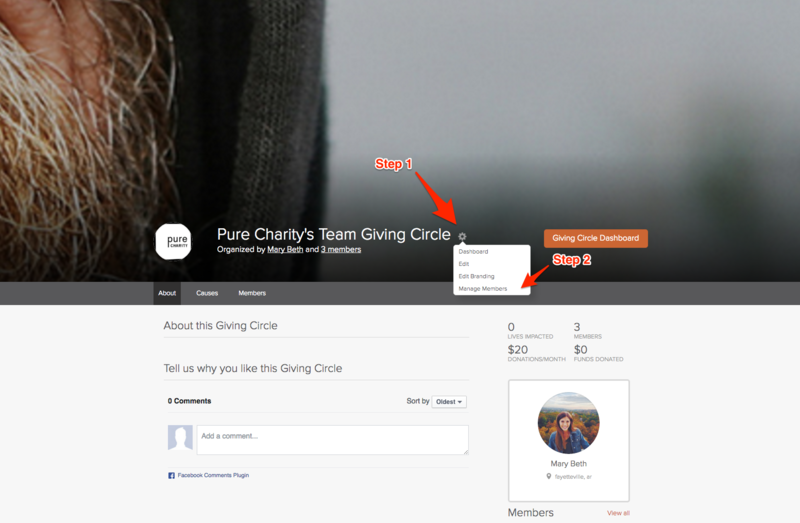 STEP 1: Click the gear icon next to your Giving Circle title on your profile page. Select manage members. STEP 2: Next, click "Download CSV" on the left hand side.